When he is not teaching at Northwestern, planning the next major Latino program at Goodman or directing, the multi-talented Henry Godinez, who has been described as a master comedian and storyteller, might be quietly found riding up Sheridan Road on a bike. 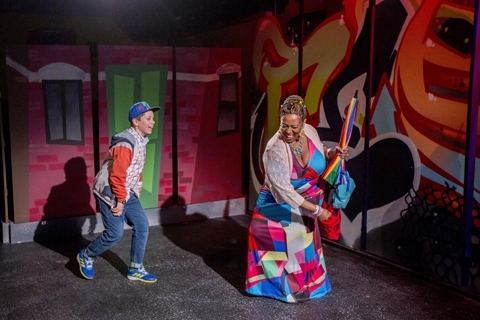 These days, you are more likely to find him directing a show in The Station at 100 South Racine Avenue in Chicago, home of the Chicago Children’s Theatre where a new musical, Last Stop On Market Street is enjoying its Chicago premiere. The heartwarming story of a boy and his grandmother’s crosstown journey of discovery was written by Matt de la Pena with illustrations by Christian Robinson. The play was written by Cheryl L. West with music and lyrics by Motown legend Lamont Dozier and his son, Paris Ray Dozier. 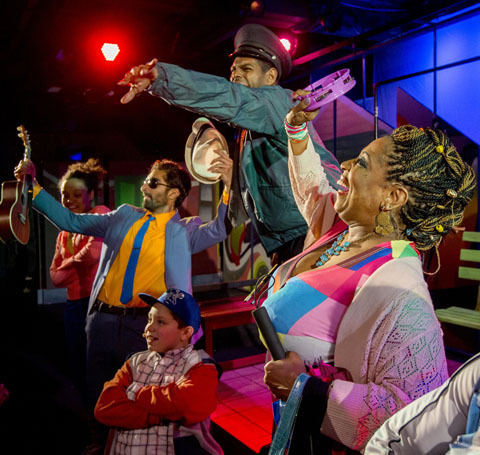 And the show stars the incomparable E. Faye Butler as Nana and a pair of terrific youngsters – Alejandro Medina and Kei Rawlins – sharing the role of CJ. 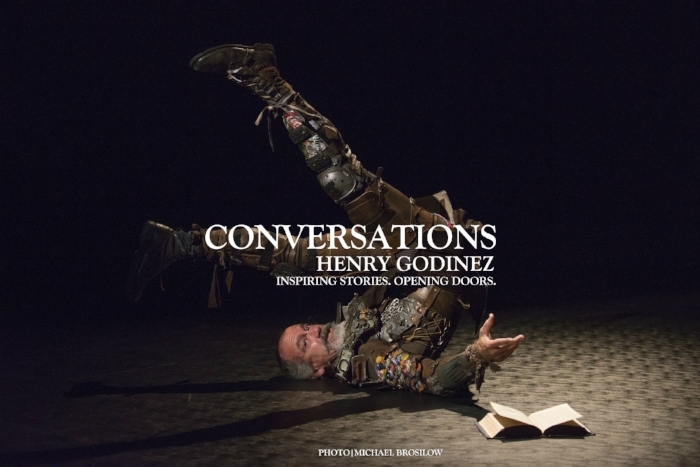 Henry Godinez joined the CONVERSATION on May 4th to talk about the development process for the new show, his professional career and talented family, the evolving Latino theater community and what it is about a story that makes it worthy of a stage treatment. Listen to the CONVERSATIONS PODCAST. Co-commissioned work … "Cheryl L. West is a hard-hitting, American playwright, one of the great contemporary American playwrights, who wrote important, beefy plays like Pullman Porter Blues that we did at the Goodman … Jar the Floor at Northlight. So, I love that when Jacqui Russell at Chicago Children's Theatre and Peter Brosius, Artistic Director of Minneapolis Children's Theater Company, co-commissioned this piece, they thought to engage a playwright like Cheryl L. West … One of the first things that Jackie knew when she wanted to adapt this story was that E. Faye Butler was Nana, the grandmother. Maybe it's because she is a grandmother now and she has a seven-year old grandson that she said yes. 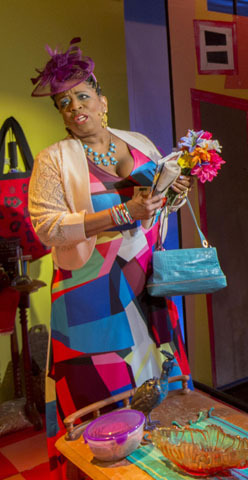 … the greatest thing about this production is that, at the center of it, you have Ms. E. Faye Butler, a Chicago legend." Last Stop on Market Street … "this boy is out of his element … interacting with people that he doesn't ordinarily see and being in a world that is not like his at all. … It's about the preconceptions that we all bring to a situation … how we judge people according to how they look or sound … he thinks this is going to be a rotten four days and little by little, with the help of his Nana - this force of nature, E. Faye Butler, a true Chicago treasure - he realizes that even in the things that we think are scary or dirty or frightening, there is beauty, more than he had ever imagined." 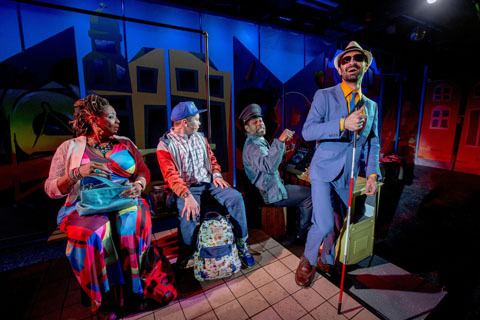 Latino Theater Festival … "the last production in the old Goodman was Zoot Suit that I was fortunate to direct … Goodman had never done a Latino play on the main stage before ... never seen so many Latinos in the audience. … We moved … and then 911 happened. 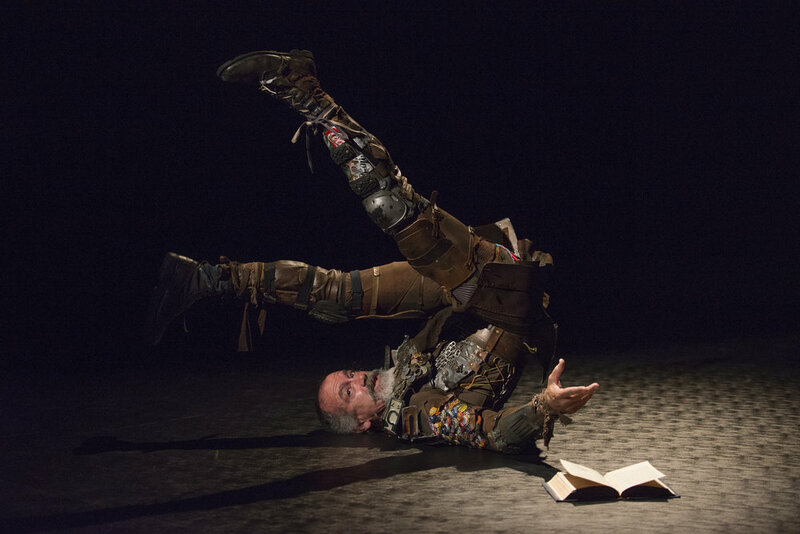 Programming, not just at the Goodman, but I think in a lot of arts institutions, became very safe. I went to Roche Schulfer(Goodman's Executive Director) and said, “Roche, you know, the audience is going to forget where we moved. They're not going to know we moved. They're going to think, ‘Wait a minute! I was just here and it was great and where did they go?’ So, we started the Latino Theater Festival as a way to jump-start our Latino audience programming at the Goodman. Over the years that meant bringing companies in from Spain, Mexico and South America and, eventually, even Cuba, and national Latino theater artists, and local companies. It was always important that we showcased local Latino companies … and we created a regular and devoted Latino audience ... and more importantly, equally important as they are connected, Latino programming was no longer marginalized to a festival, it is actually now an integral part of our season programming, which is an awesome thing." Inspiring stories. Opening doors. … "if a student sees themselves represented, they are more likely to go there … if they see professors that look like them, if they see that the programming, the plays that are being produced tell their stories, then they are going to feel at home. I knew that recruiting and diversifying Northwestern was going to be harder because it is not a conservatory so students don't audition to get there. You have to be accepted into the university, it's very hard to get in there and it's expensive. So, I knew that the odds were against us. But thanks to the efforts of my colleagues at Northwestern and President Morty Shapiro and his administration who have been incredibly proactive in creating an environment that makes it viable for students." Amazing Wonder Women … "my wife Nancy (Voigts) is a big musical theater actress. … When the girls were born, my career was getting really crazy, both teaching and directing. By that point, I wasn't pursuing acting anymore, but she, to a great extent, put her career on hold to raise the girls and she's an amazing singer and actress. We met actually doing a series of Kabuki plays here in the 80s and early 90s. … Lucy, our oldest daughter, is now a senior at Northwestern. She's graduating in four weeks and inherited her mom's voice, and then some. She has this crazy, crazy voice and Northwestern has made her a good little actor … she's grown up in this … around amazing performers … Gabby, who is a freshman at Northwestern is a Radio, TV and Film major … Her dream is to write and produce for late night comedy like Stephen Colbert, Seth Meyers or Marvel. … she will go with me to see what my wife calls a ‘boy movie” – superhero movies. One of my great joys was to go with her to see Wonder Woman because, finally, she was able to see a movie where a woman was the hero. They are amazing. They are amazing. It is the best thing." Powerful voices ... "it isn't so much about what to invest in, or to try to figure out what the tone or the flavor is at the moment, but who to invest in … if you identify the gifted people, the rest will follow, especially the young people, young artists … if you sense that someone's voice is vital, a young writer, a young director, a young actor's voice is really powerful and vital, I think that's the thing to invest in."